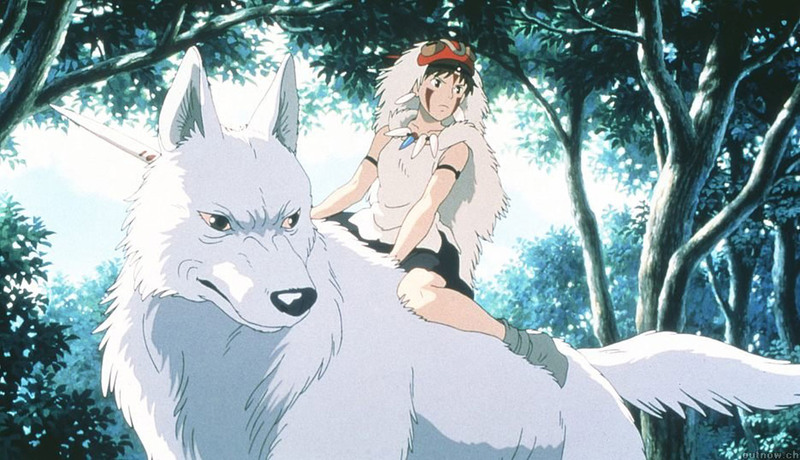 Princess Mononoke (Mononoke Hime) is one of the most renowned masterpieces created by the legendary Miyazaki Hayao. Let's take a closer look at one of the supporting characters―the Forest Spirit or the God of Life and Death―a vital piece of the puzzle in this enchanting film! Mononoke Hime (Princess Mononoke) is an epic fantasy anime film directed by the famous Hayao Miyazaki and animated by Studio Ghibli. The story follows a young warrior, Ashitaka, who finds himself involved in a fight between the forest gods and the humans who destroy their resources. 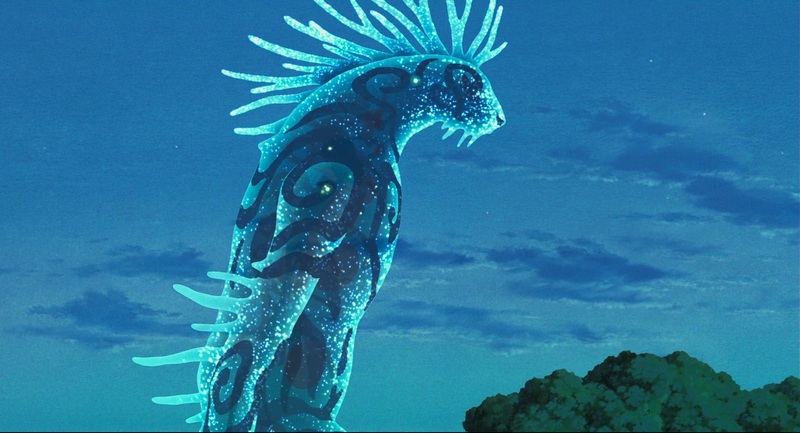 It is one of the most famous Japanese animated films ever and has received critical acclaim not only for the animation, but also for the complex plot. 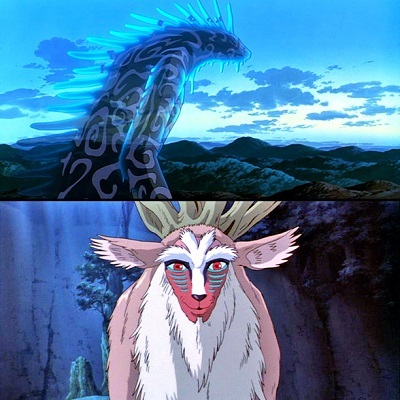 One of the most notable characters is definitely the Forest Spirit, the ancient spirit of the mountains and the one who has the power to give or take away life. Let's take a look at his different forms and explore his role in the film. The Forest Spirit turns into the Nightwalker or Daidarabocchi at every sunset and maintains that form until the first sunlight. The Nightwalker is a huge humanoid god with tentacle-like spikes on his back and a body that looks as if it's made of stars with turquoise and black shapes on it. He even resembles Godzilla a bit. 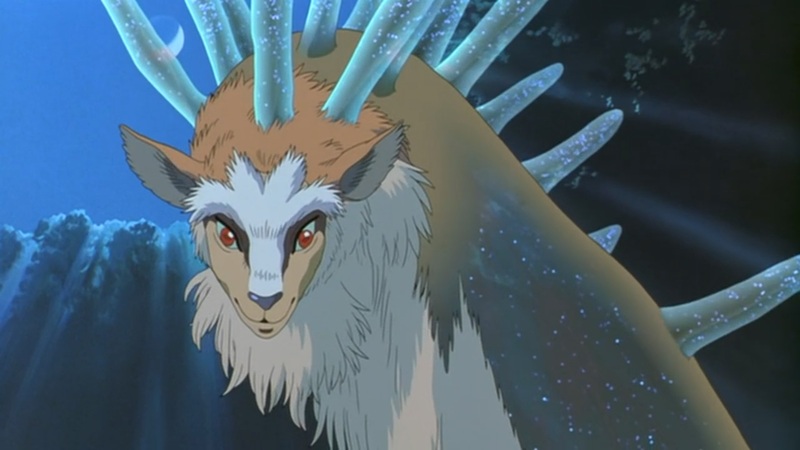 During the day, the Forest Spirit is Shishigami, a stag with big antlers, bird-like feet, and the prominent face of a baboon. When he walks, the flowers bloom up onto his feet and then they quickly wither and die. This is quite symbolic because the Forest Spirit is able to give and take away life. He walks through the forest, but does not always take an active role in the happenings around him. His red eyes are piercing, which makes his god-like aura even more alluring. The Forest Spirit may only be a supporting character, but he's an essential part of the whole story. He's the one who heals Ashitaka's bullet wound and the one who takes the lives of Lord Okkoto and Moro. It could even be said that he is the forest or life itself - he represents the essence of nature and the ancient laws that are not respected by humans anymore. At the beginning, he appears scarcely and it seems as if he's not even aware what's going on in the forest. This could be contributed to the fact that he's a god, or someone who is a medium between life and death, and therefore not really supposed to interfere. Not until he gets shot by Lady Eboshi and sets upon the destruction of the whole forest does his real power become obvious. His death symbolizes the end of the old generation and the beginning of the new one, the one that might finally restore the peace between humanity and nature.